So, you bought a starter home. Good for you! You don’t expect to stay forever, but you also aren’t going anywhere anytime soon. 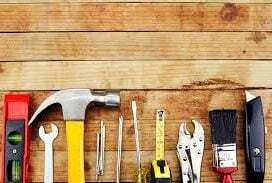 It has been a few years and it is now time to make some home improvements, but you have a budget to stick to and you’d like to make sure you’re spending that money wisely so you see some return on your investment when it is time to sell. The good news is that there are plenty of projects that will add enjoyment to your day-to-day living and improve your home without draining your bank account. Focus on cosmetic changes, not huge projects. 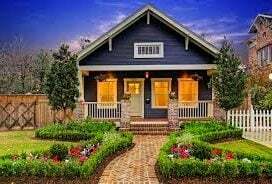 These suggestions are relatively inexpensive, you can do most of them yourself and they should last until you’re ready to see a “for sale” sign in your front yard. There are a wide range of options here, nothing says you have to use the granite we see on TV and in magazines. Granite is, in fact, a little less impressive to some buyers because they see it in every house they tour. Consider some less expensive but equally attractive materials, like quartz or upgraded laminate. You’d be amazed at the options available in big box stores like Home Depot! When you’re deciding on a colour, its best to stick with neutrals like white, beige or gray (I’ve even seen some very nice kitchens with black counters) for a modern feel. If your budget allows for it, consider replacing your back-splash with something simple as well. In our kitchen, we’re thinking about white “subway” tiles for a clean, bright look. 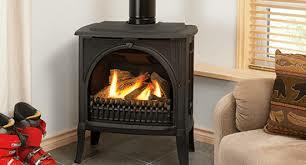 We used a large wood burning stove in a previous home and really miss the ambiance it provided. What we don’t miss is the dust and ash it spread throughout the house. A gas or propane stove is on our wish list for the house we’re in now. They add a ton of character without costing too much and free-standing units are vented through exterior walls with piping, which makes installation much easier and cost-effective than working with a fireplace and chimney. Make sure to take into account that you’ll need clearance space on all sides of the unit and that you’ll need some kind of hearth or a unit that comes with a stand to keep it off the floor. Want an easy way to create ambiance in the evening, impress guests and add some pizzazz to night-time photos? 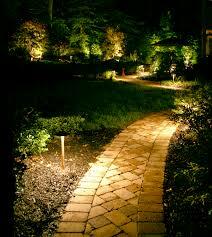 Add lighting along the length of your driveway or walkways, around the patio, and even “uplights” on trees. These days there are solar lights, LED options and even so called “fairy lights”, all easily found at hardware stores or big box locations. While you’re at it, set things up on timers. 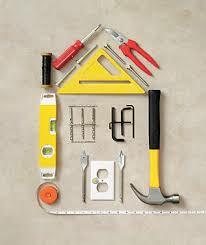 This will help to keep your hydro bill in check and helps to deter burglars at the same time. Installing a deck is an affordable way to extend your home for use in warm weather. A comfortably sized deck is the perfect place to entertain or relax with family and possibilities are endless. Let budget dictate whether you’re looking at a simple spot for a patio set and a barbeque or a fancy patio with an outdoor brick oven. 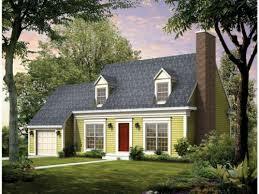 In either case, the real benefits are more living space and improved curb appeal, so you really can’t go wrong. Again, whether this is a big job or a few small ones is up to you. Easy tasks include replacing light fixtures and light bulbs (stay true to the style of your exterior and take colour into account), upgrading the hardware on your front door (or even the door itself), switching out an old mailbox and painting trim and shutters. More involved (and probably more expensive) possibilities include repaving a cracked and ugly driveway (or getting a load of gravel delivered for country properties), painting the exterior of the house or getting siding professionally power-washed. Each will freshen up your home and improve your all-important curb appeal. Take a look at how much you can comfortably afford and choose the tasks that you feel will have the biggest impact on the appearance of your property…and the biggest bang for your buck!